It's Washington Wine Month (handy calendar at the link), in case you've been living under the proverbial rock here in the Northwest. And the Washington State Wine commission is doing a variety of things in conjunction with various retailers and restaurants in Seattle and across the state. 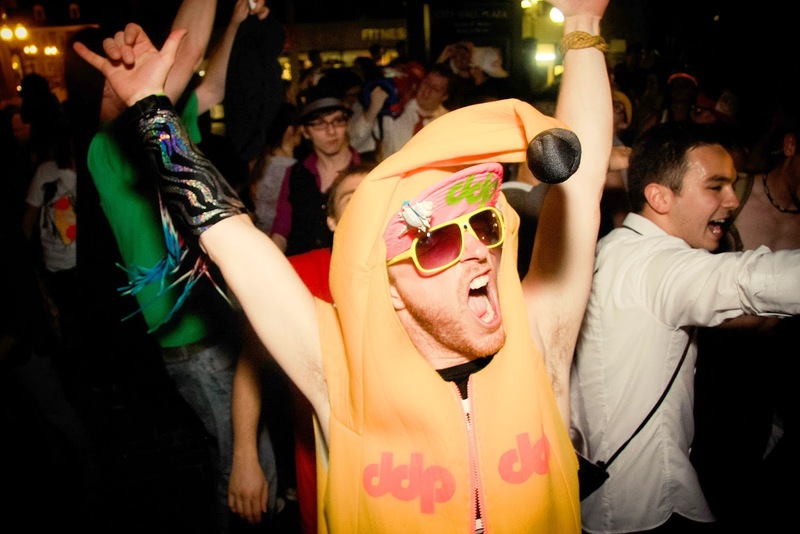 The big party of course is at the end of the month with Taste Washington. But in between now and then there's a whole lot going on. This has been a special couple years for Washington wine, with the Yakima Valley the state's original AVA turning thirty in 2013, and Chateau Ste. Michelle's Cold Creek Vineyard turning 40 at the same time. The state is getting older, and the wine is getting better. We should celebrate that. Have a party or something. One of the great things about celebrating is sharing that enthusiasm you have with friends or other loved ones, we'll call them lovers. One way you might do that this month is by sending them a "Washington Wine Celebration in a box." To coin a phrase. Maybe. This month the Gorge's Maryhill Winery is featuring a Washington State gift pack, and frankly it's a great way to kick-start someone's appreciation of Washington wine. We're looking for converts here after all, both to wine and to Washington. The Maryhill pack features three wines that you'll find often in Washington, the recently crowned King of Washington, in terms of acres planted, Cabernet Sauvignon, Merlot, a grape on which Washington built it's stellar reputation and Syrah, perhaps what the state does best and is being recognized internationally for. The Maryhill gift pack also delivers on value. Three wines, typically priced at $22 for the Cabernet and Syrah and $19 for the Merlot come in the three pack for $49. That's a nice discount and we're not even good at math over here at Anthem HQ. Seriously, we're bad at it. The wines offer a great chance to slyly tell someone you love them, and you love Washington wine and you couldn't choose a gift that you didn't love yourself. If your friends are California wine aficionados and they live somewhere outside of the NW, you can have this gift pack shipped to them. None the less, it's like a party, or an educational effort, or...an educational party effort in a can, except, in a box. The wines are from the 2009 and 2010 vintage and so you're also serving these uninitiated folks 5 year old wines, the average American drinks a wine within like 40 seconds or something of buying it. Which is dangerous and probably illegal because you're likely still in the grocery store parking lot. These wines deliver enormous value, I think the Syrah is the star, but the good thing is, you don't have to pick just one. 2009 Maryhill Syrah The wine is meaty, and smoky and delivers on black fruit and spice. Aromatics of barrel spice, smoke and dried figs and on the palate Montmorency cherries, grilled meats and earth. This wine even has great acid and was still going strong on day two, not always the case with young vine Washington wines. I really am impressed with this Syrah offering. 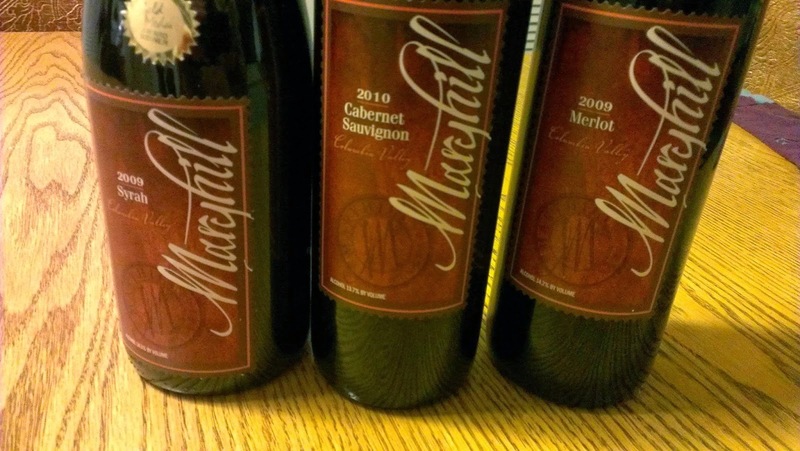 2009 Maryhill Merlot Aromas of chocolate, blueberry and barrel toast, and the palate delivers signature Washington Merlot blue fruits, caramel and mocha. 2010 Maryhill Cabernet Sauvignon. A cooler vintage wine, more earth and herbal aromatics than big fruit or chocolate. Flavors of blackberry, raspberry and hints of cola.